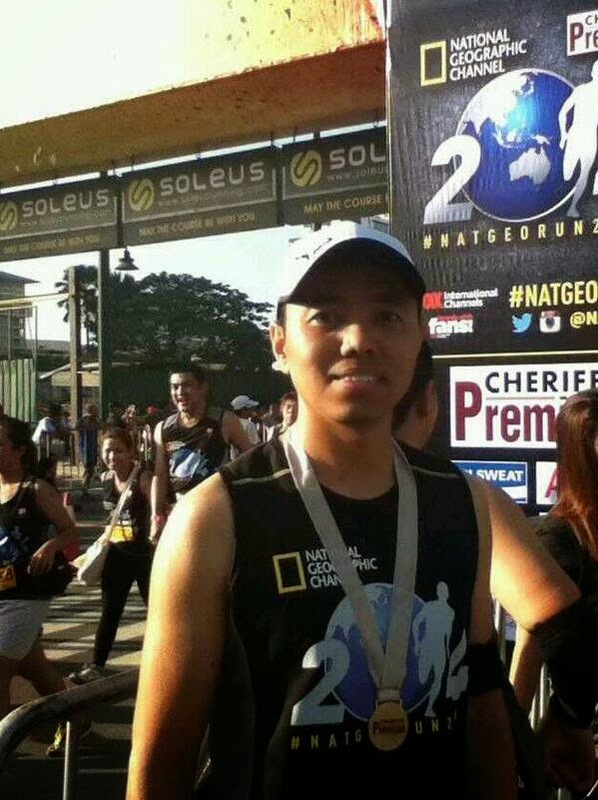 NatGeoRun2014 was my 3rd 21K-race. I was really excited for this race mainly because I missed the 21K at the Run United 1 in March. It was Irish’ 3rd 10K-race too! 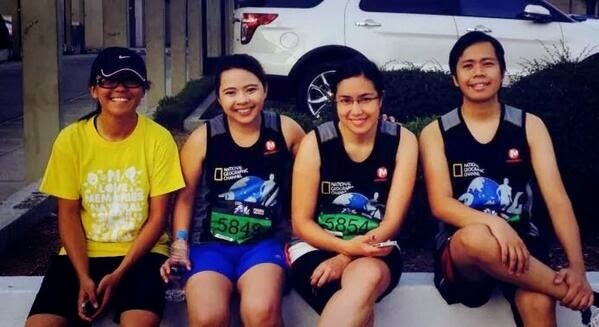 The gun starts were scheduled earlier than our previous runs (3:00AM for 21K, 4:00AM for 10K) so we decided to come home and sleep early on Saturday. Indeed, we were already at the house at around 4pm. We decided to watch Survivor:Cagayan episode 9 first before hitting the sack. Jeremiah was voted out and became the 4th member of the jury. Then, we tried and tried and tried to sleep from 5pm but couldn’t. The sun was still shining! We fell asleep probably around 8:30pm. We left the house at 1:30am and arrived in BGC at around 2:00am. 42K runners were already on the road. As usual, we set our own personal targets. Sub-2 for me, 1hr 30mins for Irish. The loser will take care of breakfast. I was feeling great before the start of the race. I warmed up a bit before heading to the start line. I was about four rows from the front. 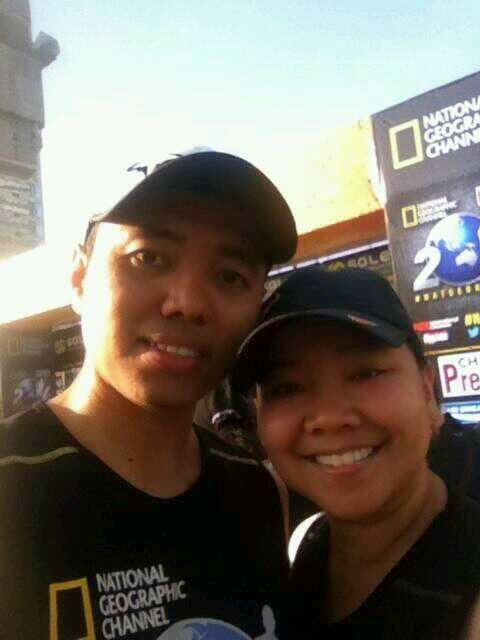 I started about 11kph until the 3.5k mark – my first water stop at the Kalayaan flyover. The roads were generally dark and there was not much wind. At the 5km mark, I was still on target at 26mins. Few steps after, I saw the sole Kenyan already heading back after the first U-turn in Makati. One kilometer later, one little boy overtook me and I was like, WOW! I wanted to include him in my story so I pulled out my camera from my armband. I accelerated my already dropping pace to catch him then asked, “Ilang taon ka na”?, He replied : “9 po”. After that, he continued his pace and he was gone. I forgot to ask his name though. 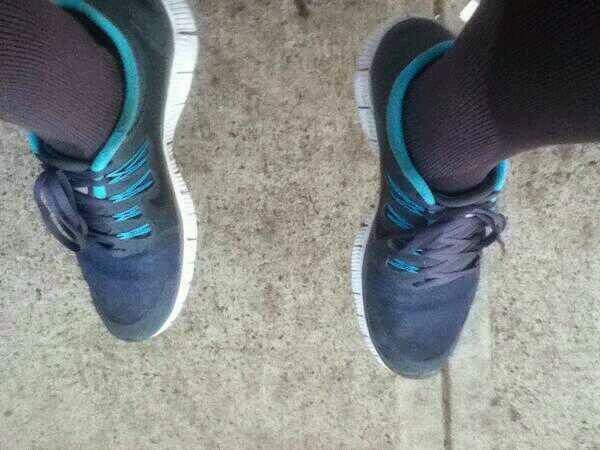 At the 8km mark, I started to feel weak. It felt like my energy was losing very fast. 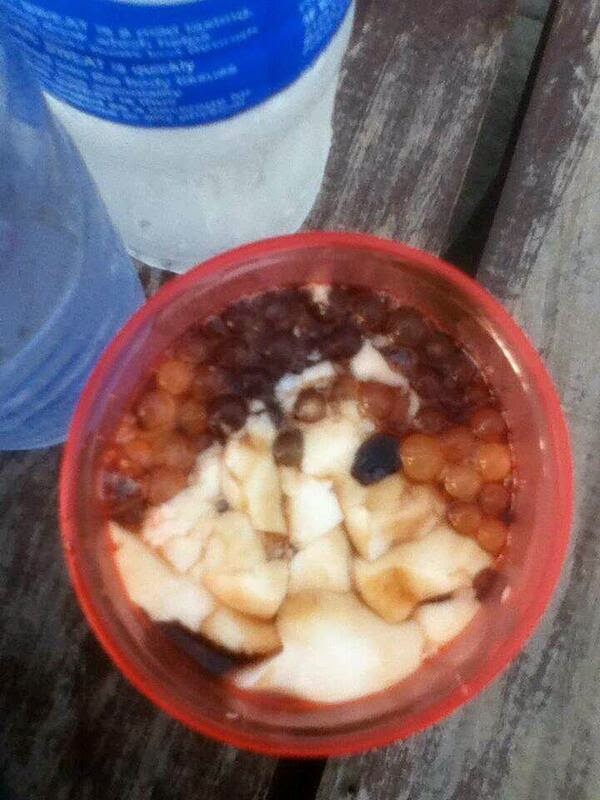 At the 10km mark, I was at 1hr 1min but I was really hungry. My cardio and legs were OK but I just had no power to push. From that moment on, I knew it will be a very long 21K. 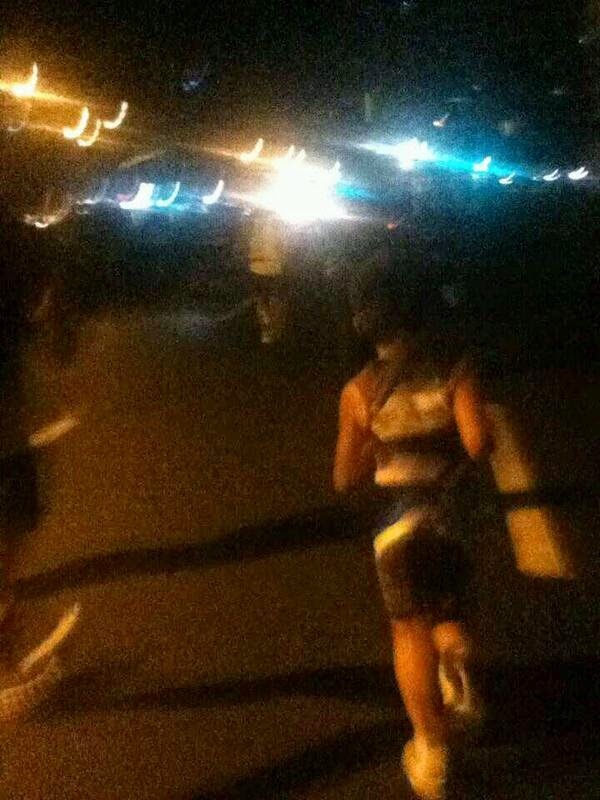 On my way back at the Kalayaan flyover, at one point I was running along with sir Raul Patrick Concepcion - the Running Shield and actor Rovilson Fernandez (The Amazing Race Asia 2 3rd placer) but later on I couldn't see them anymore. Then comes McKinley Hills, then Bayani Road. It was dark. It was rough. It was punishing. It was an endless road. I hoped for bananas ahead but unfortunately there was none. I basically walked and ran towards the finish line. I crossed the finish line at 2hours 29minutes 53 seconds. I was very, very, very hungry and weak. 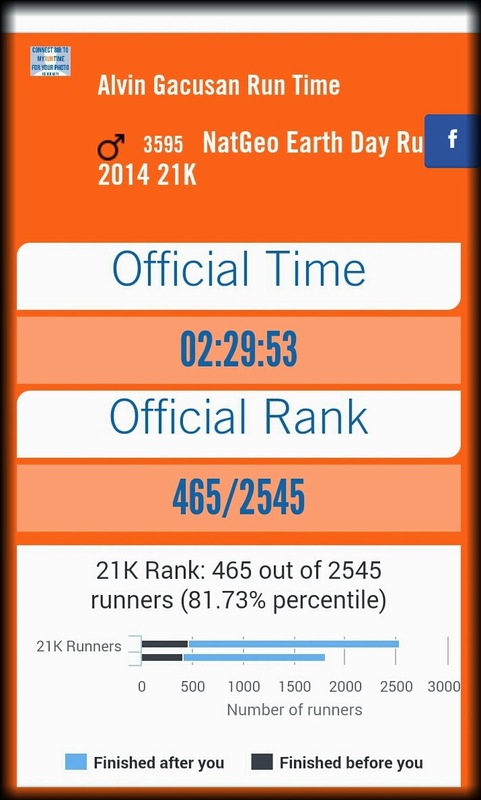 It was my slowest 21K finish so far. I found out later on at the awarding ceremonies that the Kenyan was Jackson Chirchir bagging the first place with 1hr 17mins. I don’t know if my preparation was not enough or age is taking its toll on me. Or maybe I pushed too hard to lose 5kgs to win the "Biggest Loser" in the office. Or maybe because I didn’t take my breakfast before the race. I don’t know. But whatever the reason is, I know I failed and I will continue to train and try to improve. And I will bring energy bar with me next time! Congrats to Reya and Krisha!